The following is the "No Kill Equation", which is described in further detail by Nathan Winograd in his book "Redemption". 1. Feral Cat TNR Program – TNR most commonly stands for "Trap, Neuter, Release" or "Trap, Neuter, Return". This is the only proven method for lowering the numbers of feral/unowned cats in an area. 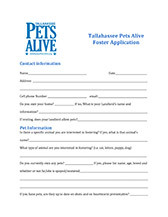 Using TNR effectively sterilizes the cat colony. The current and more widely used way to deal with the feral/unowned cat population is to “catch and kill” them. 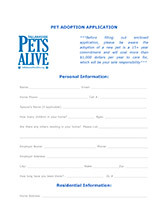 This means they are not “adoptable” due to their lack of interaction with people, and so, they are killed rather than altered and allowed to live out their lives. We believe that even though these cats are not “adoptable” they should be allowed to live because TNR actually succeeds in lowering the population and these cats can live long, happy and healthy lives if left to do so after being altered. Locally, Its Meow or Never is one example of an agency using TNR to work toward lowering the population without killing. 2. High-Volume, Low-Cost Spay/Neuter – Quality of Life Issue - Low cost, high volume spay/neuter will quickly lead to fewer animals entering the shelter system, allowing more resources to be allocated toward saving lives. 3. Rescue Groups – An adoption or transfer to a rescue group frees up scarce cage and kennel space, reduces expenses for feeding, cleaning, killing, and improves a community’s rate of lifesaving. In an environment of millions of dogs and cats killed in shelters annually, rare is the circumstance in which a rescue group should be denied an animal. 5. Comprehensive Adoption Programs – Quality of Life Issue - Adoptions are vital to an agency’s lifesaving mission. The quantity and quality of shelter adoptions is in shelter management’s hands, making lifesaving a direct function of shelter policies and practice. 6. Pet Retention –Quality of Life Issue - Saving animals requires communities to develop innovative strategies for keeping people and their companion animals together. The more a community sees its shelter as a place to turn for advice and assistance, the easier this job will be. 7. Medical and Behavior Programs – Quality of Life Issue - The shelter must put in place comprehensive vaccination, handling, cleaning, socialization, and care policies before animals get sick and rehabilitative efforts for those who come in sick, injured, un-weaned, or traumatized. 8. Public Relations/Community Involvement – Increasing adoptions, maximizing donations, recruiting volunteers and partnering with community agencies comes down to one thing: increasing the shelter’s exposure. Public relations and marketing are the foundation of all a shelter’s activities and their success. To go No-Kill, the shelter must be in the public eye. 10. Proactive Redemptions – Quality of Life Issue - One of the most overlooked areas for reducing killing in animal control shelters are lost animal reclaims*. 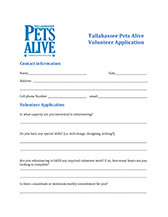 Sadly, besides having pet owners fill out a lost pet report, very little effort is made in this area of shelter operations. This is unfortunate because doing so—primarily shifting from passive to a more proactive approach—has proven to have a significant impact on lifesaving and allow shelters to return a large percentage of lost animals to their families as well as garner more public support and backing for the shelter. * It's estimated that 50-70% of "strays" are really lost pets that someone is searching for. Reuniting a "stray" with their family actually saves two lives - the lost animal and the kennel space it frees up for another. The No Kill Equation focuses on alternatives to killing, bringing the focus back where it should be: life saving. Each of the programs above either help animals get OUT of shelters (rescue, foster, adoption, redemption), or they prevent animals from having to go IN to shelters in the first place (TNR, low cost spay/neuter, pet retention). Volunteers, a compassionate director, and public relations/community involvement are the key forces that tie everything together. Comprehensive, high-quality medical and behavioral programs combat two reasons animals are killed under the traditional model of animal sheltering by providing treatment and training to those who need it in order to become more adoptable. Sometimes it seems overwhelming because there are hundreds of animals at any given time that need help. But, how many are feral cats that could be safely returned to their habitat? How many are lost pets that could be reunited with their owners? How many could be placed in the care of a rescue group? How many could go to foster care for one-on-one attention before adoption? How many wouldn't have had to come to the shelter at all, if their struggling owners had resources made available to them, such as a pet food bank? The programs above are designed to exhaust all other options before an animal even has to stay at a shelter and be placed in a new home. This can greatly reduce the overall number of animals needing to be re-homed. Although adoption IS a crucial component of No Kill success, so are all the other programs in the No Kill Equation. Also, it is not enough to have some representation of each of these 11 components. They all have to meet a high standard if No Kill is to be achieved.